Turkey is a significant emerging economy that combines the volatility and some predictability every news trader needs. Borska Istanbul had a month which once again showed the Turkish economy has a huge potential that is tapped by uncertainties about the political future, the geopolitical situation in the region, and rising inflation. Things may go both north or south in Anatolia in 2019, which makes it a great market to watch and trade in the upcoming months. 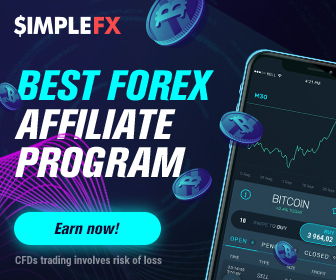 Get ready for some action with this short guide to Turkey by SimpleFX WebTrader - the easiest trading app that allows you to open the right order at the right time and profit whenever the markets go up or down. Turkey is in a unique geopolitical place between the European Union and unstable middle east. This exceptional location gives a unique opportunity for the Turkish government to negotiate trade and political deals, and the size of the 13th largest economy in the world, with over $900bn GDB, and the population of almost 90 million people, which gives President Recep Erdogan strong negotiation leverage. 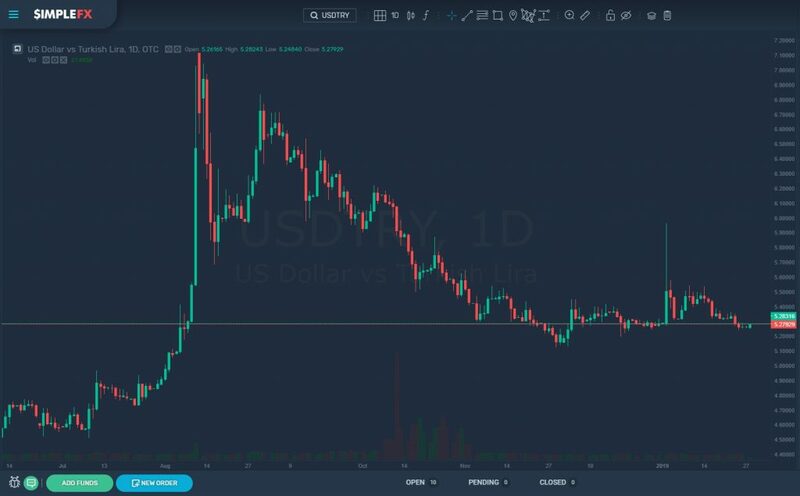 USDTRY has stabilized recently, but just a few months ago Turkish lira plunged 25% in just a week, source: SimpleFX WebTrader. Here are the most critical news threads that can affect both the Turkish lira and Turkish stock. Recession or a “soft landing”? The country may be facing a recession, which is a considerable growth swing since the first half of 2018 when it noted a GDP growth of over 7 percent. There's a lot of uncertainty about the 2019 outlook of the Turkish economy as it may be facing a recession. The Turkish Treasury and Finance Minister Berat Albayrak admitted that there would be a "significant slowdown" in the next months, but at the same time assured that it would not turn into a recession. “There has to be some slowing down. This is soft landing strategy,” said Albayrak in a TV interview in Davos on January 24 during World Economic Forum in Davos. Albayrak assured that the government’s target of 2.3 percent GDP growth in 2019 is still going to be met. 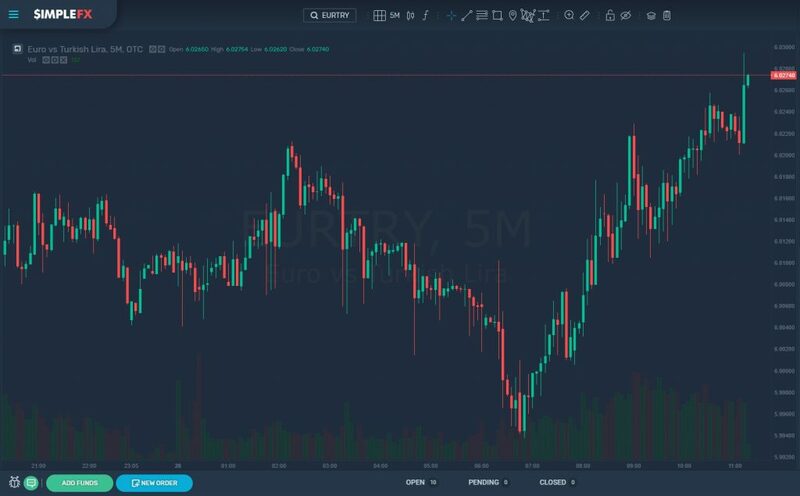 Going into recession or not, the Turkish economy is at the crossroads, which creates an excellent opportunity to try different trading strategies on Forex against the largest currencies USDTRY and EURTRY. Will the government influence the Central Bank? Turkish ruling Justice and Development Party (AKP) - that is in power for the last 15 years - won the elections in June 2018 and is convincing the global economic leaders that now it focuses on three primary financial goals, which is: budget, discipline and fighting inflations. This would help lira appreciate long term as inflation is one of the main challenges of inflation which reached a four-year high in October 2018 with 25 percent. Traditionally Turkish President Recep Erdogan pushes the Central Bank to stimulate growth at the cost of inflation. The information that President Erdogan is not putting pressure on the central bank is enough for the markets to go bullish on Turkey. On January 16 the Central Bank decided to hold the prime interest rate at 24%, which helped the lira in foreign exchange markets. Watch the news about Turkish interest rates carefully. At the moment the currency has stabilized, but it may change at any time. In August 2018 lira plunged 25% in just a week. Turkish politics bring more and more exciting news that may sway the exchange rate. The ruling AKP will have to face the challenge of municipal elections on March 31. The campaign may bring more decisions that may affect the lira. Media news creates additional interest in USDTRY pair. On January 14 the US president Donald Trump tweeted on that he will "devastate Turkey economically if they hit Kurds." The Kurds are the 4th largest ethnic groups in the Middle East (after Arabs, Persians, and Turks), but have no country of their own. Almost half of the over 20 million Kurdish population live in Turkey, and it is estimated they amount up to 20 percent of the Turkish population. President Erdogan considers Kurdish militias in Syria as terrorists. You can imagine that such strong declarations and the extremely complicated geopolitical position of Turkey may affect the lira’s volatility. Will Borsa Istanbul continue to rally? The Turkish stock performed very poorly in 2018. This seemed to change in the first weeks of 2019, as the companies traded in Istanbul rallied with the strongest start in six years. 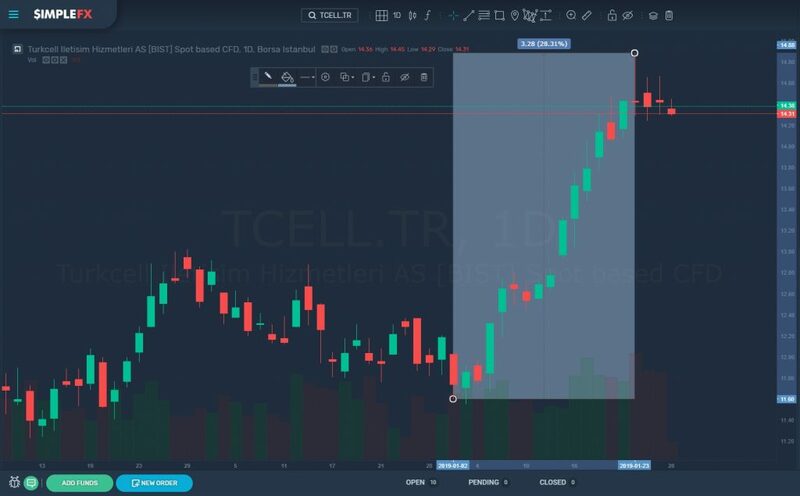 Borsa Istanbul's main index rose 9 percent, and leading companies such as Turkcell Iletisim Hizmetleri AS gained almost 30 percent in the first three weeks of January. Turkiye Petrol Rafinerileri AS and Turkiye Garanti Bankasi AS also had a solid start. This shows the potential Turkish economy has for the investors. 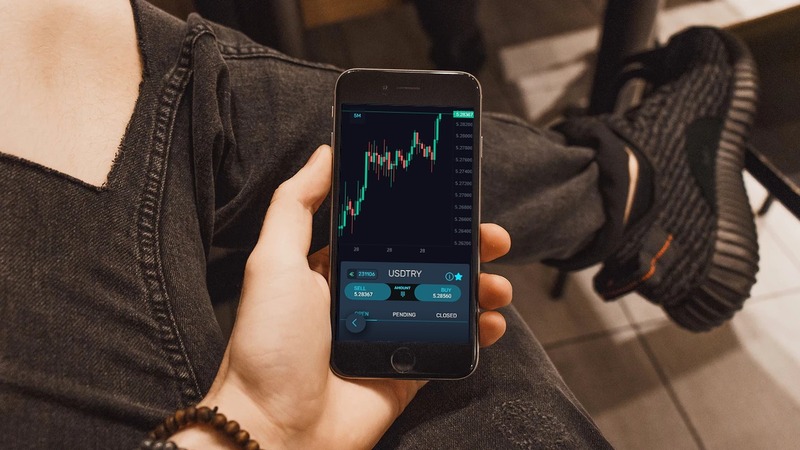 The potential that is tapped by political uncertainties, which once again makes it a perfect field for day trading, as you can take long or short positions according to your interpretation of the news, and capitalize quickly on the right decisions since the Turkish financial environment is extremely volatile. Turkey is an attractive emerging market. The potential is there. However, a lot depends on how the government will combine caring about the inflation and keeping the support momentum before the elections. Trade tensions are easing, and there’s a chance that the situation in the region will finally start to stabilize. If this scenario occurs, the upside may be untapped. On the other hand, things always can get worse in the middle east. 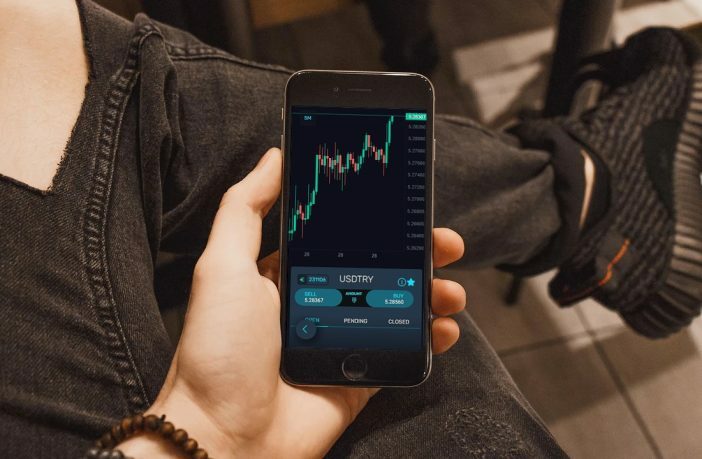 The uncertainties surrounding Turkey create a unique situation where an individual trader can beat the institutional investors and come up with a winning trading strategy. It is very important not to take your eye off the ball. You need to follow the news closely and be ready to react accordingly at the right time. That is why it is essential to have the best tool in your pocket. Have a SimpleFX trading account ready for action. 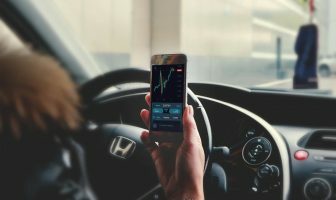 SimpleFX WebTrader is the best mobile trading app. Within seconds you can buy or short USDTRY as well as any of the leading Turkish stock. If you are new to CFD trading, give it a try with a fully functional demo account or a live account without minimum deposits.